Enriching every woman through Jewish values and experiences. 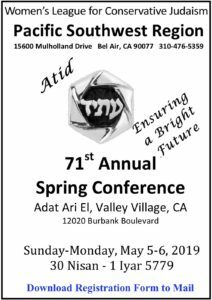 Click for the Conference Highlights Download and print the form to register by mail. Online RSVP open. Click here to RSVP. RSVP for Conference online. Early bird prices until April 10th. 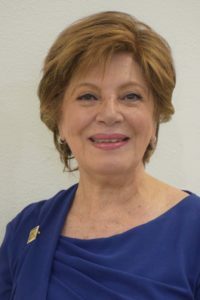 Women's League for Conservative Judaism, founded in 1918 by Mathilde Schechter, is an active arm of the worldwide Conservative/ Masorti movement. As an international organization, Women's League for Conservative Judaism provides services to 600 affiliated women's groups in synagogues across North America. This network links 100,000 women in 13 regions with groups in Israel, Great Britain and South America. In 1947 the Pacific Southwest Region was organized by the late Mrs. Jacob Kohn, who became our first president. This region now numbers 30 affiliates in Southern California, Arizona, New Mexico, Nevada, and Texas. Copyright © 2019 Pacific Southwest Region. All rights reserved.